QuickBooks Online is a very popular cloud-based accounting software system for small startups as well as multinational companies. People use this because of its intuitive design, easier to use, and better to manage. No doubt QuickBooks online is a good accounting software, but in today’s competitive world, an Accounting software alone does not meet the complex and demanding requirements of business. Hence such systems need to be integrated with a reliable and high performance ERP system such as Odoo to effectively solve business problems. We were working with an enterprise grade customer who was already using QuickBooks Online. They were satisfied with it for all their accounting needs. But they wanted to have a more feature- rich, robust, and powerful enterprise system which included a comprehensive yet specific suite of features. These included Inventory and Warehouse Management, CRM, HRM, Helpdesk, Project Management, and other custom tools required to run their business. 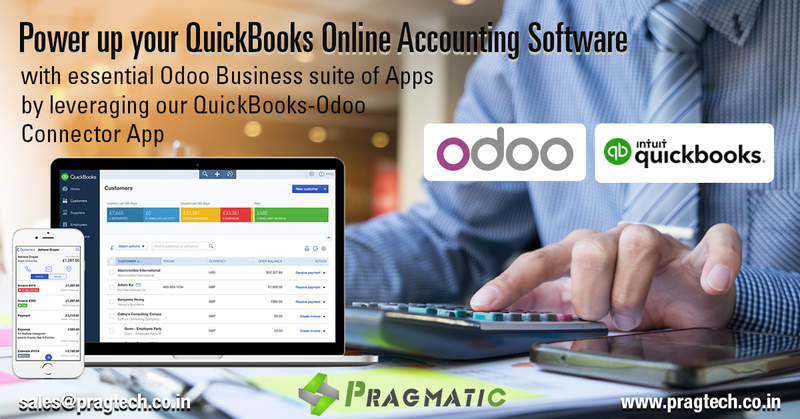 At Pragmatic, we worked with the client to enable a seamless, power-packed, and highly customized integration of QuickBooks Online with Odoo. It allows extending QBO functionality to have other very useful enterprise apps such as CRM, HRM, Helpdesk, Purchase, Project Management, POS, eCommerce and many others. This connector will help user to import export following objects. With this integration, all accounting information from various technology applications like Inventory and Warehouse Management, CRM, HRM, Helpdesk, Project Management could be easily transitioned back and forth within QBO. This connector will help user to sync accounts with Odoo. The app offers two way synchronization i.e. From Odoo to QuickBooks Online well as the other way round. This App will allow user to export Customer invoices and Vendor Bills. Import of payments from QuickBooks Online to Odoo is possible though a button click and payment will be available to be reconciled with respective invoices in Odoo. 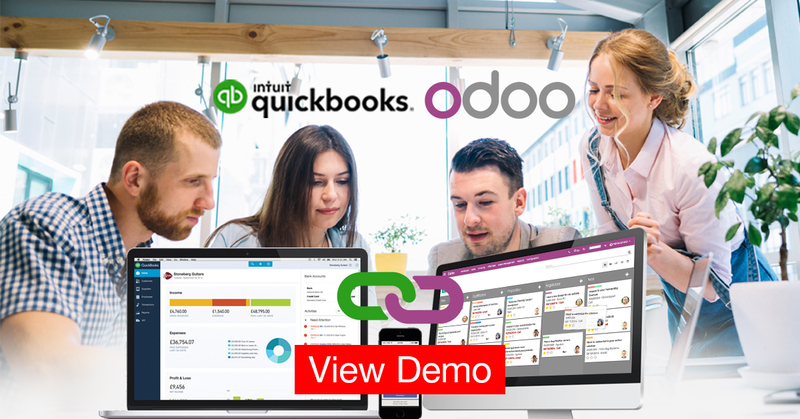 If you wish to control your business activities through Odoo as a main system then this app offers you the flexibility to update inventory levels from Odoo to QuickBooks Online. Also you can synchronize inventory from QuickBooks Online to Odoo.